Alas, life is pretty much guaranteed a quick trip to vaporization if it tried to live in the atmosphere of a star like our own. Stars like our sun have a surface temperature of about 10,000 degrees Fahrenheit (or about 5800 Kelvin), which is hot enough to keep iron suspended in a plasma, and to melt even the hardiest known compounds and alloys. This is way, way too hot for any kind of biological structure; any kind of complex molecule would immediately burn. The surface of the sun is the coldest part of the entire star; if you go deeper into the star, it only gets hotter. Bizarrely, a short distance above the surface, it also gets hotter for reasons that we still haven’t quite worked out. So if molecules aren’t going to survive at the surface, there’s no chance for life anywhere else in the star, either. That's not to say that there’s no hope for atmospheric living, so long as we're willing to look at a slightly cooler place. We recently discovered that our own atmosphere seems to be rather full of living things suspended surprisingly far up in our atmosphere. A hurricane scouting plane took samples of the air, a little over six miles (10 kilometers) above the surface, and found a phenomenal density of bacteria and fungi apparently thriving up there! At the very least, the bacteria they found were not all dead, which is a good start. 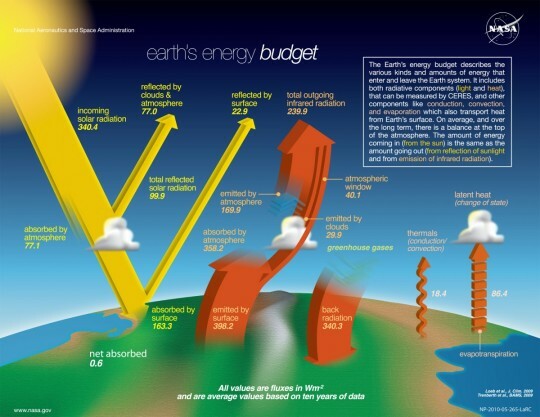 This was a bit of a surprise, as the higher you go up in the atmosphere, the less protection you have from the high-energy ultraviolet (UV) radiation from our sun. UV radiation is generally dangerous to life, which is why everyone should wear sunscreen. Ultraviolet radiation is high enough in energy to ionize atoms and molecules, kicking electrons out of their otherwise stable orbits; this can damage cells, causing them to mutate or die, depending on the severity of the damage. In humans this damage can lead to skin cells reproducing much faster than they should – it’s one of the triggers for skin cancer. The atmosphere does a fairly good job of blocking most UV light, but the further up in the atmosphere you go, the less protection there is. At 6.8 miles above the surface, 75% of the mass of the atmosphere is below you, so this really is a very extreme, unprotected place for bacteria to survive. To find a large volume of bacteria, live, seemingly unaffected by the UV dosage 6 miles up really was unexpected. Currently, we think that storms are responsible for flinging so many bacteria nearly to the stratosphere, but it’s the tiny mass of the bacteria which allows them to stay suspended up there for a while, along with dust and water vapor, which can eventually form into clouds. The interesting piece of the puzzle from an astronomical perspective is this; finding not-dead bacteria in our own atmosphere means that it’s not entirely crazy to suggest that the same thing might happen in other atmospheres. Suspicions immediately turn to Venus, everyone’s favorite 860F degree, runaway greenhouse, volcano-ridden, battery-acid raining planet. Now that description, while not inaccurate, does not paint a picture of a particularly habitable planet. On the other hand, we don’t particularly expect to find life at the surface, where we have lost each and every one of our probes to a combination of crushing and melting after a couple of hours, max. 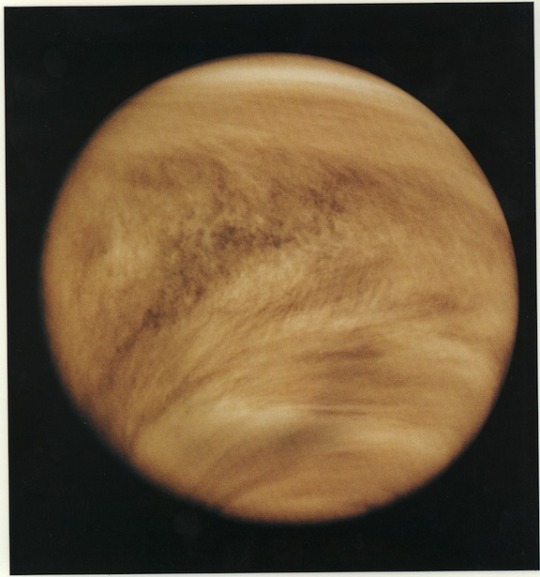 However, if you stay away from the surface, there’s a layer in Venus’s extraordinarily dense clouds which is positively balmy in temperature. It sits about 65 kilometers above the surface with a pressure about equal to the pressure at the surface of the Earth, and is about standard room temperature. 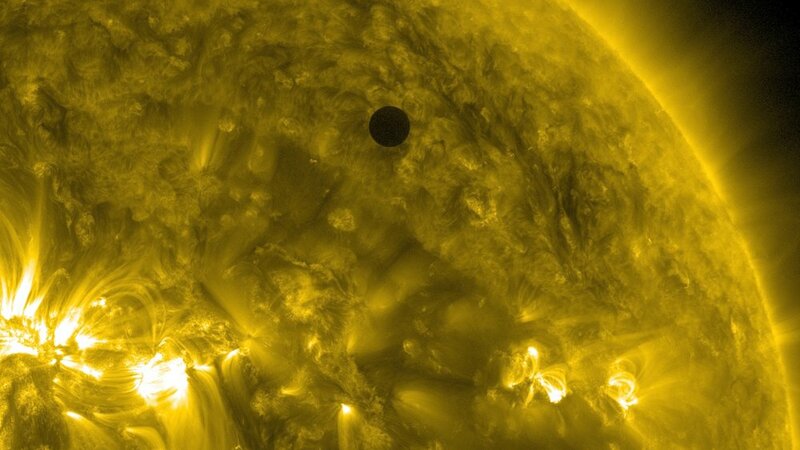 Unfortunately for humans, this is also the part of the atmosphere of Venus which rains sulfuric acid. This toxic acid rain evaporates before it hits the surface, leaving a catastrophic layer in the atmosphere where no humans would dare to pass. For bacteria, however, this may not spell immediate demise, because there are also extremophiles on Earth which are fine with sulfuric acid. There’s a class of bacteria which live in caves, form stringy mats, eat sulfur compounds, and produce sulfuric acid as a byproduct. They hang from the ceiling of the caves and are called snottites, or, if you prefer, snoticles. These caves are seriously unhealthy places for humans (generally explorers need to be wearing heavy-duty protective gear and gas masks) both because of the general lack of oxygen and because of the sulfuric acid dripping from the ceiling. 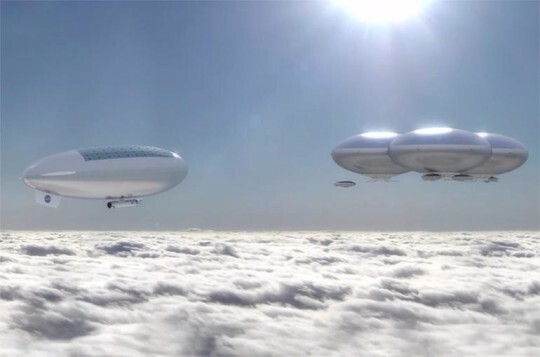 But if a similar class of bacteria were present in the reasonable temperature, reasonable pressure cloud layer of Venus, they might be able to survive fairly well without worrying too much about the omnipresent sulfuric acid. This sort of thinking isn’t limited to just Venus, though it’s the closest, we have the most information on it, and probably is the easiest to explore; Jupiter has also been subjected to the same thought experiments. There’s a long line of science fiction authors exploring the ideas of Jovians, with many of them working off of creatures living in the clouds. 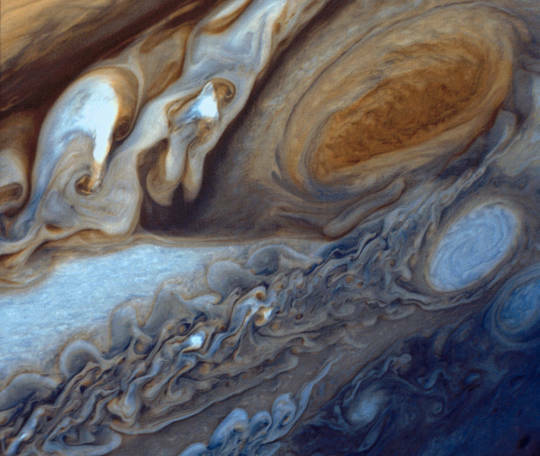 Though it’s unlikely that there are airborne jellyfish or cloud whales on Jupiter, it’s certainly possible that microscopic life could be suspended in the more charitable cloud layers. To stretch back to the original question about stellar atmospheres, the very lowest mass end of the spectrum of stars is composed of brown dwarfs – stars which missed the amount of mass you need in order to start fusion burning in their cores. The coldest of them are really quite cold; the most extreme surface temperature is somewhere between -54 and 9 degrees Fahrenheit, which is right about the limit of coldest survivable conditions for extremophiles on Earth. Not all brown dwarfs would be suitable; we need them to be as Jupiter-like as possible, which happens only with the smallest of them, where the boundary between a Jupiter-like planet and a failed star is the fuzziest. But given what we know about stellar atmospheres today, if life can thrive in the high atmosphere of gas giants, then the lowest-mass stars, which may yet outnumber stars like our own, could be the home of starborne life. Of course, all of this, though logically laid out, is purely a thought experiment until we can go exploring and see for ourselves. There are missions that have been designed with present technology to look for exactly this, and that may yet give rise to our first indications of life on a planet other than our own. Sign up for the mailing list for updates straight to your inbox!